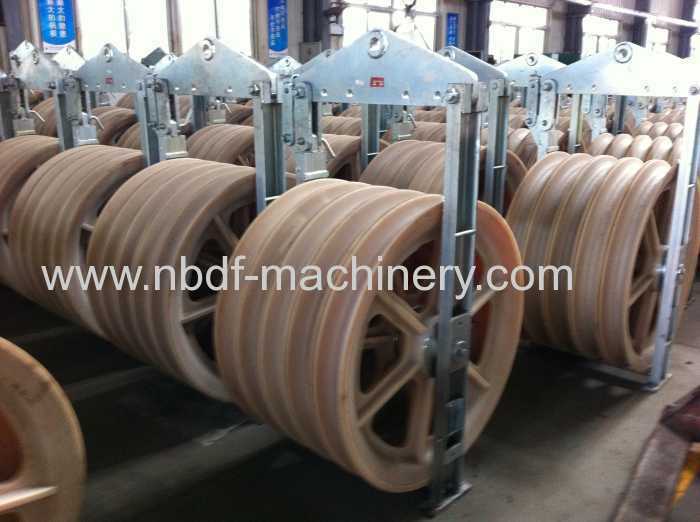 Application: It is suitable to string stranded aluminum and ACSR conductors on tangent structures. Compression sleeves, swivel connectors, and pulling rope connectors can pass through the groove. 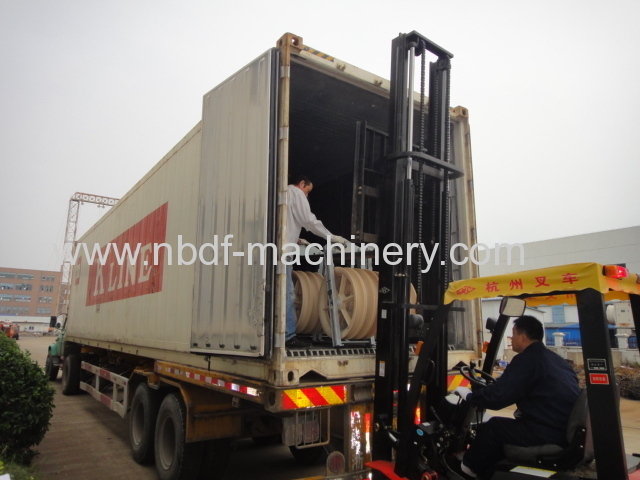 The sheave is made in aluminum alloy or high strength nylon. 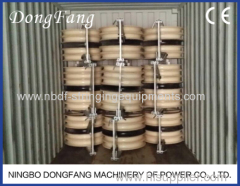 The big size 508mm, 660mm aluminum alloy sheave can be lined with neoprene. The big size 660mm, 822mm, 916mm, 1040mm nylon sheave can be lined with neoprene. 1. Hook fitting, round eye fitting, and clevis fitting are optional, please specify when ordering. Customized blocks could be supplied on request. The data in the model means the outer diameter of sheave X width of sheave (mm). 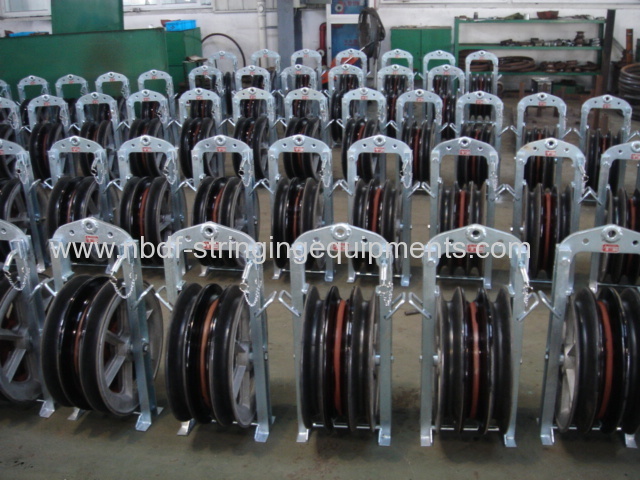 Application: It is suitable to string two or three stranded aluminum and ACSR conductors on tangent structures. Compression sleeves, swivel connectors, and pulling rope connectors can pass through the groove. 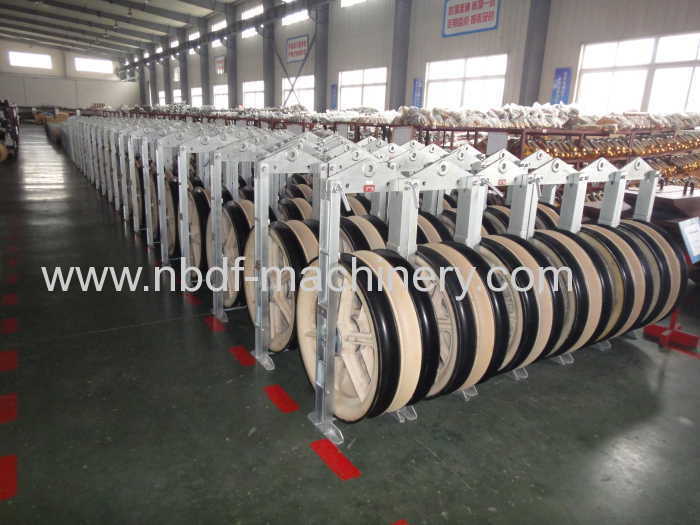 The sheave is made in aluminum alloy or high strength nylon. 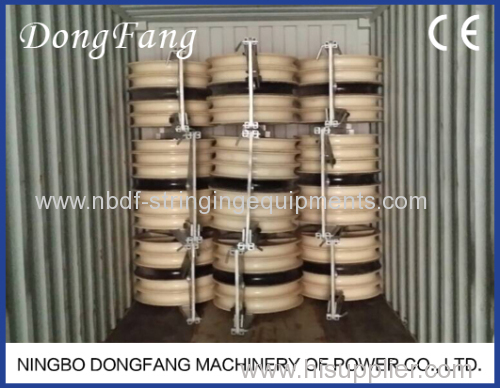 The big size 508mm, 660mm aluminum alloy sheave can be lined with neoprene. The big size 660mm, 822mm, 916mm, 1040mm nylon sheave can be lined with neoprene.